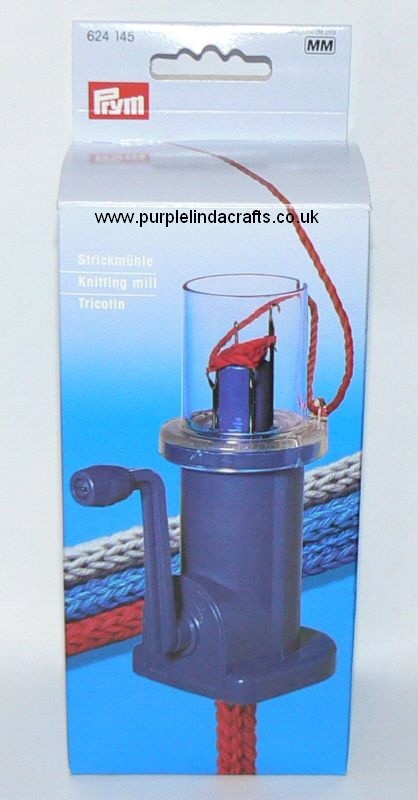 Mini knitting machine to make tubes or cord fast. 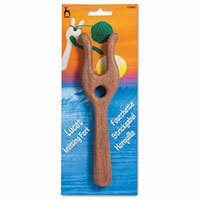 Prym French Knitting Mill 624 145 - This is a great little gadget for knitting cords or braids fast. You feed the wool in, slowly work at first until work is weighted and then you can work the handle at your preferred speed. This is just like a knitting dolly but with a handle to make faster work. Wooden braider, 95mm x 15mm. Wooden Lucet for making yarn cords.